Let’s face it. The iPhone’s internal microphone just doesn’t cut it for proper video recording. The Mikme is a studio-grade wireless microphone that looks to be the perfect match for improving your phone’s audio recordings. The Mikme was brought to life by Philipp Sonnleitner through an Indiegogo campaign which reached over 400k in backing. It’s now publicly available through a select few retailers. What does the Mikme do? 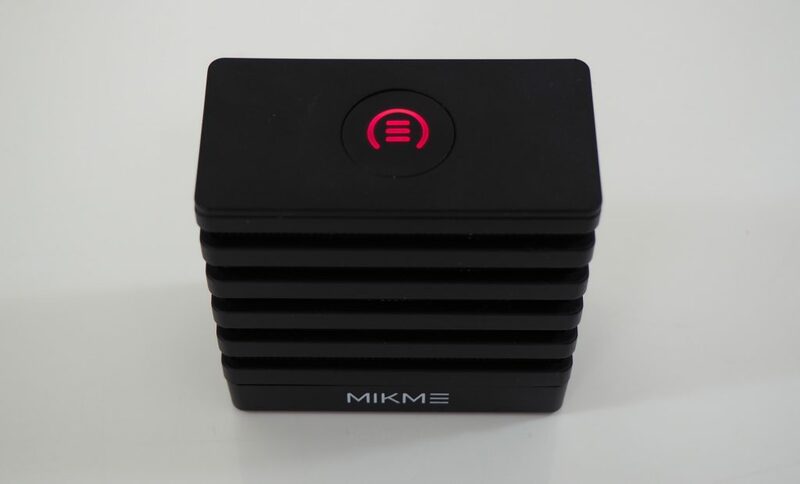 To put it simple, the Mikme is a professional, Li-Po battery powered studio microphone in a black, portable housing. You can wirelessly record audio on its 16GB of internal memory or stream and save recorded audio directly to your iPhone over Bluetooth (with a dedicated Mikme app). The great thing is that the Mikme iPhone app allows you to synchronize the Mikme audio with any video you’re recording through the app, eliminating any need to meticulously synch the video and audio in an editing tool later on. Who should use the Mikme? Any more info on the Mikme?